Organizations from coast to coast face intense pressure to deliver top-notch community services with increasingly fewer resources. It is imperative for leaders of these organizations to find creative ways to reduce overhead costs while still maintaining high standards for quality. Finding the best ways to stretch a budget always poses a challenge, but in some cases, outsourcing functions like fleet management can simultaneously reduce costs and enhance operations. As home to nearly 10 percent of Wilmington’s population, the Wilmington Housing Authority (WHA) in Delaware focuses its resources on developing and maintaining safe, decent and affordable housing for low-income families. The WHA is the largest direct provider of affordable housing opportunities in the state, responsible for managing nearly 2,000 units of public, tax credit and market rate housing. It also administers nearly 1,900 housing choice vouchers. 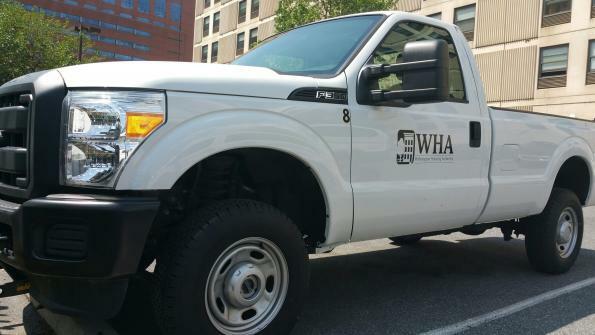 With locations across the city, the WHA’s fleet is a critical part of its operation. The agency provides its maintenance and management teams with vehicles to help them reliably and quickly get to each building for service calls and other agency needs. However, years of budget constraints led to a fleet of vehicles that were not replaced regularly. Many vehicles were more than 10-years-old and required frequent maintenance. WHA Executive Director Frederick Purnell knew updating the fleet was essential, but replacing more than three dozen vehicles in a short period would be a costly upfront expense. Over the years, federal funding for housing authorities has decreased, and the federal government has limited how housing authorities can use funds to purchase vehicles. The WHA challenged itself to find a solution that could affordably incorporate new vehicles into its fleet and reduce its overall fleet expenses without hindering employees from servicing the agency’s buildings. After sending out a call for proposals, the WHA found its answer in a partnership with Enterprise Fleet Management, a full-service fleet management company with offices throughout North America. Over the next five years, the WHA expects to reduce its fleet from 44 to 38 vehicles and save an average of more than $25,000 per year in operating expenses. The plan helps the WHA manage its fleet costs in a way that enables the agency to acquire new vehicles sooner, so it can start to realize savings faster. Enterprise Fleet Management is providing the WHA with 38 cargo vans, pickup trucks and mid-sized sedans. Enterprise analyzed WHA’s needs to determine the appropriate mix of vehicles and to help identify ways to manage its fleet more efficiently. The new strategy includes downsizing the fleet and introducing several different vehicle models that will be phased into the fleet over the next four years. The new vehicles have better fuel economy, lower emissions and require less maintenance, which contribute to cost savings for the WHA. Enterprise provides regular maintenance, vehicle registration, use reporting and a fuel card program that automatically monitors fuel purchases and miles for each vehicle. The company also uses local businesses to provide routine service and delivery of the vehicles. Once the vehicles have reached the optimum point in their lifecycle, Enterprise will auction and resell some of the vehicles on behalf of the WHA. The WHA will also present the opportunity for residents to purchase some of the vehicles that are no longer actively part of the fleet. By trusting these processes to a third-party fleet management company, the WHA is limiting its costs and reinvesting in a critical part of how it operates. But an aging fleet, rising maintenance costs and a limited budget are not unique to the WHA. These are issues faced by many public agencies and fleet managers across the country. Having the time and resources to track every vehicle expense is difficult for many organizations, especially when they don’t have a designated fleet manager. Operating a fleet efficiently requires consideration of many factors over each vehicle’s lifecycle, from acquisition to operating expenses and all the way through to the resale process. Understanding how these expenses change is necessary to determine a vehicle replacement strategy that drives down expenses over time. The WHA’s story serves as a reminder that, if approached strategically, some challenges can be recast as cost-savings opportunities. In this case, the move helped ensure smooth operations, and possibly created a model for public and private agencies to follow. Steve Bloom is president of Enterprise Fleet Management, a full-service fleet management business and affiliate company of Enterprise Holdings. Enterprise Fleet Management currently manages more than 425,000 vehicles in North America for companies, government agencies and organizations with medium-sized fleets.